Please take a moment to watch our REAL TESTIMONIAL VIDEOS & REVIEWS from past clients. If you would like any Phone References just give us a call and we'll be happy to provide you with a list, so you can call them and find out first hand how their experience was with our company. 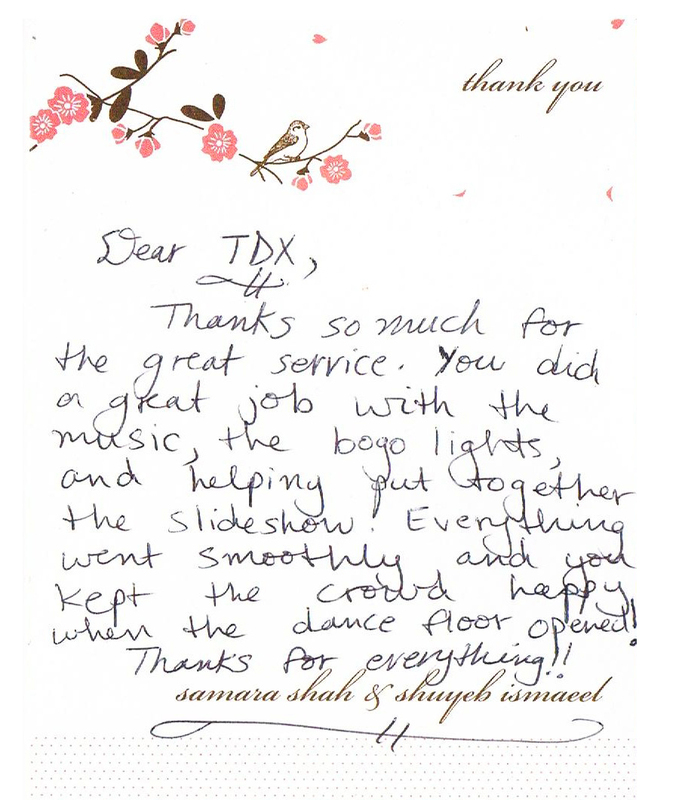 "My experience with TDX was pleasant from the beginning. I found TDX through the internet and I knew I wanted to have dhol for the ceremony/reception combined with a great Indian DJ, so when I found their website, I was thrilled. I immediately filled out my information on their contact page, and within minutes, Jassi from TDX called me. We spoke about my wedding, what I was looking for, the type of ceremony and reception we were having, etc. Jassi was my main point of contact through the entire planning process. I never spoke with Ustat, her husband and the main DJ, until the actual event because Jassi really runs the show in terms of planning and coordinating. 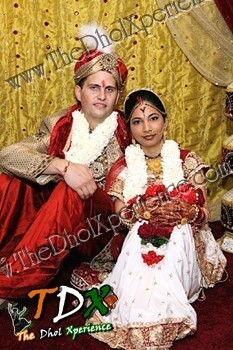 It worked out really nicely because Jassi is so experienced with Indian weddings and had great ideas and suggestions. TDX is so flexible and resourceful. I had not had the best experiences with DJs in the past, and asked Jassi if I could attend one of the TDX upcoming events to get a sense of their music, setup, and style. Jassi checked with the venue and her client, who were more than welcoming to have us visit the venue. I appreciated that she told us what the itinerary was for the evening, so we knew when to show up. She kept me informed of deviations from the itinerary throughout the evening as well so that we came at a time when we were able to witness a music set and even a dance troop performance. My fiance (now husband) and I were really impressed with their organization and professionalism and were ready to sign the contract immediately. Throughout the process, Jassi went above and beyond, She created slideshows for us, scanned so many pictures for us, advised on lighting, ceremony coordination, songs, etc. ; she was very communicative, which is so helpful to a bride and sometimes rare in vendors. She is also up at all hours working hard, which is great for brides who are doing last minute uploads:-) We booked TDX for two events- both our sangeet and wedding. Both events were great. My sister-in-law is getting married on the West coast and enjoyed TDX so much, that she is considering flying Jassi, Ustat, and their group to the west coast for her wedding! TDX pricing is reasonable as well, especially because they really go above and beyond to make your event a success. They have a lot of resources as far as equipment, lighting, etc. so it is low stress for the planner! The music was great and they really know how to draw from the crowd's energy, so your guests will be very happy! TDX is highly recommended!!! " I wanted to write you a small thanks for all the help for our wedding. Throughout the process working with you has been a pleasure. I know that it must take a lot of time answering all my questions and helping put together song suggestions and samples for me to listen to. I really appreciate the effort which you gave to help make the wedding a success. One thing for sure, is that I can't say enough how much having the live Dhol added to the experience of our wedding. The energy and beat definitely kept people out on the dance floor and having a good time. Extra thanks for traveling all the way to Cincinnnati for the wedding. 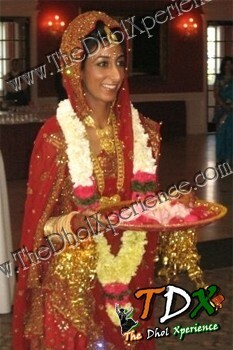 It just really goes to show how dedicated DholXperience is to meeting the needs of the occassion.
" Hi Ustat, You DJ'd our wedding on Aug. 9. We were just looking at the video and I wanted to drop you a line to tell you that you did a great job. The music was awesome. Our video/photagropher said that he usually changes up the music in the background whenever he makes the videos. In this case, he said that it flowed too well to change up. Anyways, our friends are getting married soon and are probably going to contact you soon. Thanks for the great memory man"
"Hi Jassi, I just wanted to personally thank you for all your help during the wedding process. You seriously went above and beyond in helping me. I am the first to get married among my friends and they will all be getting married within the next several years (all from DC, Delaware, and New Jersey). I have given them all your contact info and told them how much you helped and contacted me to make sure everything was in order. Also, the Dhol player really got the audience going and added a special touch. Everyone was dancing all night and we really enjoyed ourselves. Thanks for your help"
"Jassi and DJ Badmash were absolutely phenomenal. 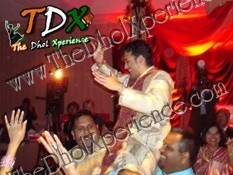 The Dhol Xperience DJ'd our wedding day baraat, ceremony, and reception and went above and beyond what was expected of them. We had about 300 ppl at the wedding and they had EVERYONE up and dancing from the baraat to the reception. 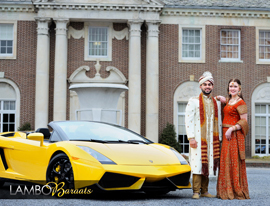 We had a mix of Bollywood, Bhangra, and Hip-Hop/Top 20.They called a number of times prior to the event to make sure everything went smoothly and they were extremely professional throughout. They helped me with song selection and my wedding day was a success because of their hard work and sincerity. Many of us didn't even eat dinner because the music was so good we didn't want to sit a dance out! If you are looking to hire a DJ who will care for you as individual people and who is really genuinely interested in making your wedding day dreams come true, then the Dhol Xperience is the right group to go with!" 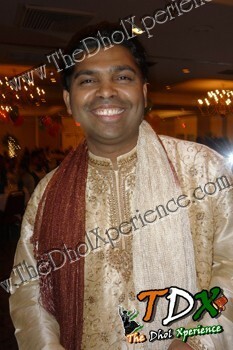 "Sharati DJ [The Dhol Xperience] did a wonderful job at our son's birthday party on January 31st 2009.They were prompt, courteous, professional, and a charming. They took all of our suggestions very seriously and did not deviate from our wishes one bit. They gave us suggestions to make the event very elegant and were very easy to work with.The Live Dhol Experience was fantastic. All of our guests had a blast at our party and lot of people have asked us for their contact info. We highly recommend them for any occasion "
"Shout Outs and Thanx to Gustat and Mz.J, the music was excellent for our party on Friday (12/5/08). Everyone enjoyed themself. We are very greatful that you both came thru in the eleventh hour. All the very best and take good care." 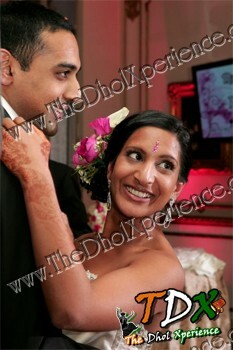 "SharartiDJs [The Dhol Xperience] DJ-ed our wedding and altogether, everything turned out beautifully. They followed our directions well and took into consideration what we envisioned our wedding to be like. They also offered a lot of extras that most DJ services don't offer. Little touches like the fog machine, dhol player, uplights, free CDs, etc. made our wedding even more special. And plus, they are very reasonable when it comes to pricing. Thanks for helping to make our dream come true!"